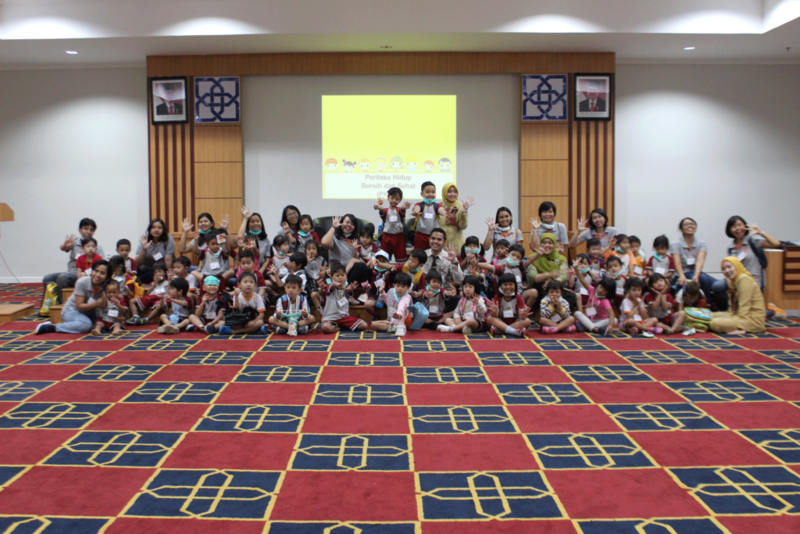 Tuesday, September 18, 2018 was the most joyful day for Kalyca preschool students. That day, students visited hospital as one of public spaces, and they learned a lot about public spaces and facilities at hospital. And this minitrip was so fun and they were really enjoy it. At JIH, the students met all the hospital staff and they were kind and helpful. Students also met the doctors, nurses, and laboratory assistant. 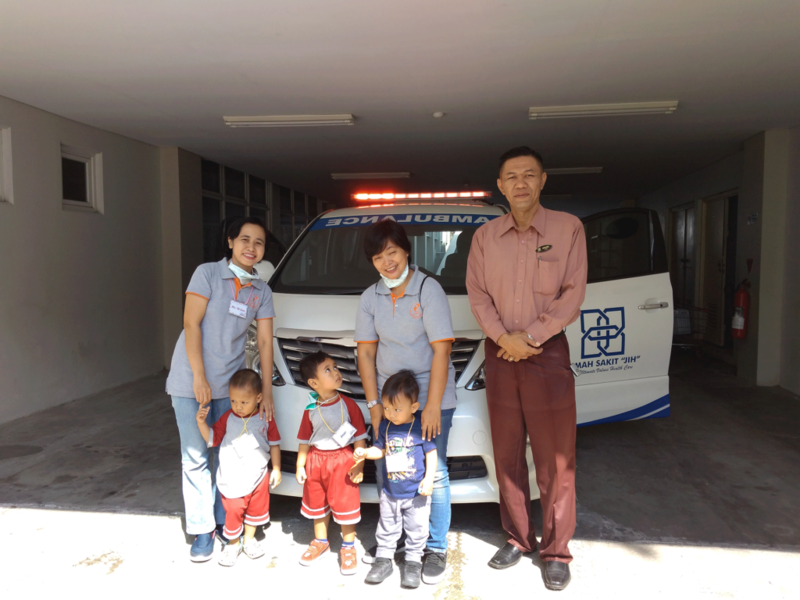 In this activities, JIH staff gave explanation about children polyclinic (children dental polyclinic and growth and development polyclinic), also laboratory, medical checkup and also the ambulance. In dental children polyclinic, students were introduced to the equipment used in dental examination and they had a chance to try to sit on patient chair. They were so excited. This polyclinic were well design, interesting and had a lot of toys inside. At the growth and development polyclinic, students measured their height and weight. 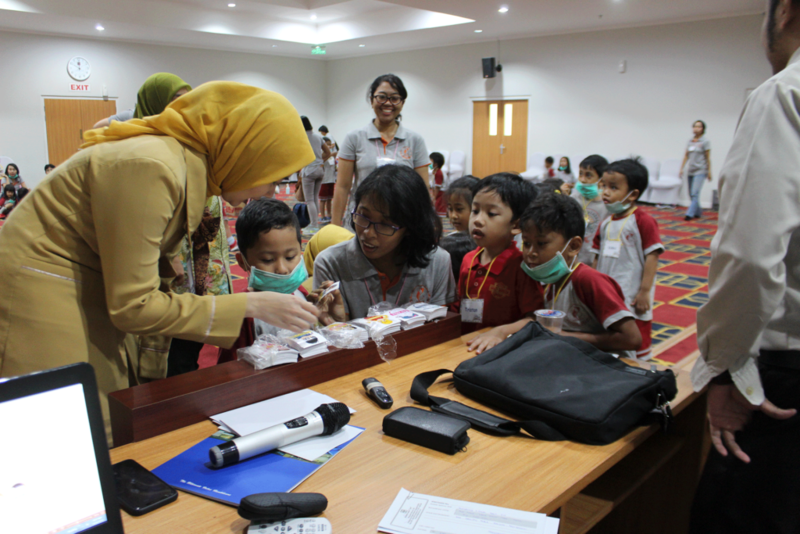 And part of the lesson was when they were asked to be dokter kecil at the JIH mini hospital. The staff explained about how to use the medical equipment, for example stethoscope, blood pressure manometer, thermometer, and other equipment. They were really excited when they tried to listen their friend’s heartbeat with stethoscope. They really liked this activity. The last visit was the ambulance. JIH staff gave the explanation about ambulance and all the equipment inside it and they were allowed to enter the ambulance. 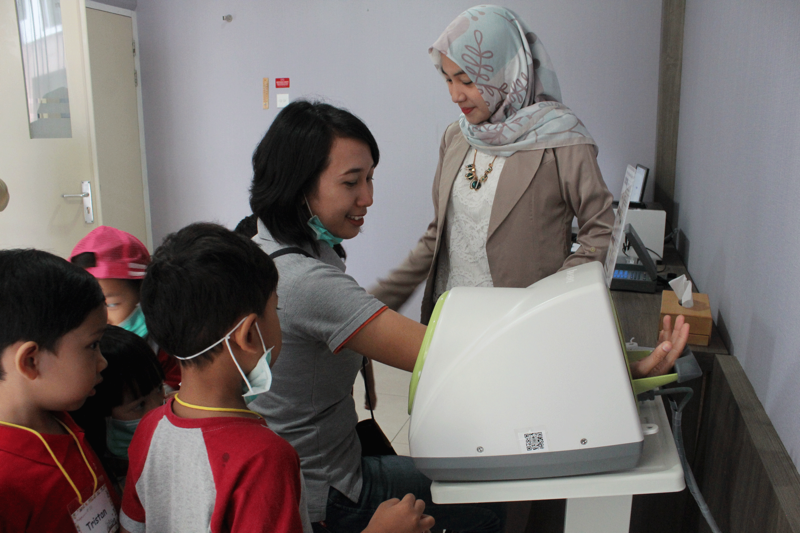 Besides that, there were Healthy Talk with doctor Dewi Darumas. Students watched video and sang together about how they should maintain their personal hygiene. 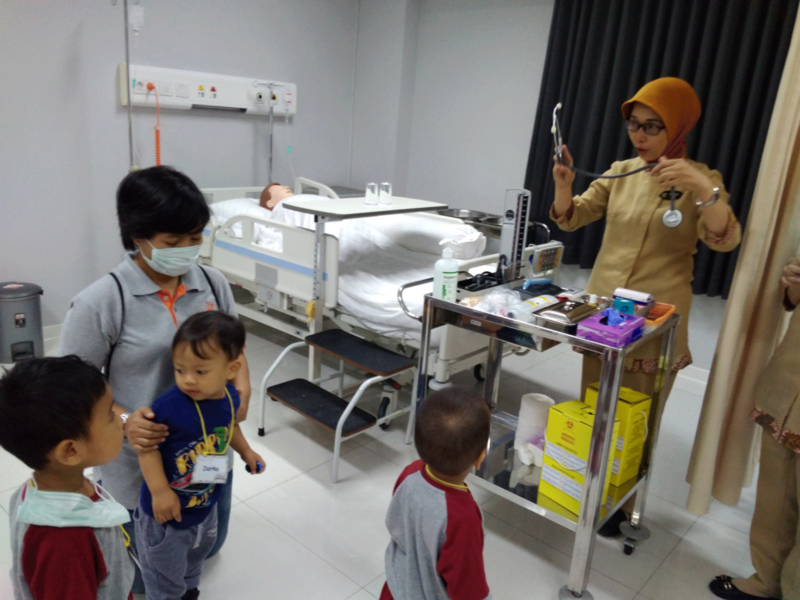 We hoped that with this hospital visit, students wouldn’t see hospital as something scary and they wouldn’t refuse if they needed to go to hospital when they are sick. And at last, we also hoped that they will interested to become doctor, nurse, or laboratory assistant.